Old brewery of +/- 1750 m² floor on almost 5 hectares. The environment is exceptional while staying within 15 minutes of Drogenbos. This set offers 5 independent reception hall with capacity between 75 and 308 people and various offices, meeting rooms, etc .... 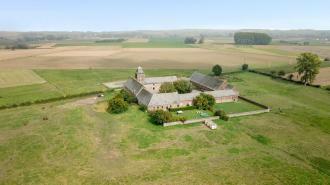 The barn, beautifully landscaped, alone offers some 500 m² on the ground. Added to this is a large development potential of +/- 800m² (multiple stables and annexes). This place offers the enormous advantage of an environment of rare beauty, sufficiently isolated to be able to exploit an event activity without risk of disturbing the neighborhood while remaining 5 minutes from the E429 (ex A8). Icing on the cake, everything in order of exploitation license. Bever, only 5 minutes from the main roads, with a dominant position on the surrounding countryside offering a rare and impressive view, this property offers all the facilities to host a family in the main house, while the annex, with its appartment, offers additional accommodation. The property includes the infrastructure to accommodate horses or other animals. A tennis court, an indoor pool, ... what more could you wish for? If you have always wanted to enjoy beautiful and bright reception areas and benefit from the ease of living on one level while welcoming family and friends, this magnificent luxury villa, located in the sought-after neighborhood of Clairbois, is made for you! Everything is perfectly designed to offer comfort and quality of life. A landscaped garden of 20 ares perfectly oriented, a large terrace decorated with a pergola and multiple parking facilities complete the program. The neighborhood, very easy to reach, at the exit of the Golf of Seven Fontaines, offering calm and greenery at the gates of Brussels is particularly sought after. The villa is in excellent condition, you only have to put your suitcases there. This property will delight lovers of countryside and tranquility. 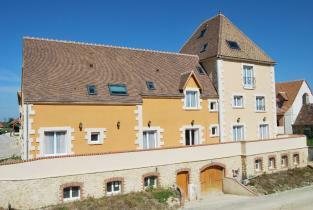 Access is facilitated by the proximity of the Paris - Le Mans motorway. With an excellent level of comfort the property boasts a large swimming pool, tennis courts and a spa facility (Jacuzzi, sauna). Nature lovers will appreciate the spacious layout and its proximity to two golf courses. The property has been renovated with an eye to quality and is of impeccable state of maintenance. This property is ideal for entertaining family or friends. The farm of the Abbey, built in the 18th century by the Cistercian monks of Cambron, houses this beautiful accommodation, totally renovated preserving authentic materials of high quality and incorporating all the necessary comfort. Warm and friendly living spaces, complemented by 5 bedrooms, make up the main housing of more than 270m². A charming and perfectly oriented garden, will offer beautiful moments of relaxation to the new owners while adjoining pastures and equestrian facilities will appeal to horse lovers. A convertible attic, splendid stables, various annexes and a barn still allow multiple professional or multifamily opportunities. In the very heart of the city, on Rue du Marteau, street lined by neoclassical buildings characterized by the presence of many gardens. In the center of European affairs. Discover this beautiful triplex of +/- 185m² brut, mix of modernity and elegance of yesteryears. Garden of +/- 140m² with 40m² terrace. Everything here is designed for optimal comfort: fully equiped kitchen with large window on the garden, living room with fireplace, 3 ch, 2 toilets, beautiful design bathroom with bath and shower, dressing room +/- 8m², laundry, electric shutters. Low charges, individual heating. "Love at first sight" announced on the barometer of your research! This magnificent modern villa offers an imposing program of 380m ² (260m ² of which are currently habitable) which does not lack originality or charm. The property will delight its inhabitants by its brightness, its modernity and its level of equipment as well as by an irreproachable garden. The materials used and the state of maintenance correspond to the prestige level of the property. Its location in a residential area of calm and wooded, you will reach the capital easily. Basements converted into office, garage, wine cellar and gym complete this generous program. This beautiful villa of contemporary character is nestled in lush greenery near the center of Braine-l'Alleud and all its facilities. It will delight you with its tranquility, the quality of the materials used and its irreproachable maintenance. A balanced program and spacious living areas will allow a family to flourish in harmony in an idyllic setting. The large windows and two beautiful terraces, overlooking the beautifully wooded garden and the pond of the property, allow you to admire in a privileged way the different facets of this environment according to the seasons. This recent villa, of classic style, is particularly well designed for family life. Brightness, beautiful convivial spaces, very complete program, are already there, all decorated with a current and good standing. Close to the center of Braine-le-Château and its shops, this property offers good accessibility to the main access roads to Brussels, Hal, Nivelles or Waterloo. Its countryside environment, on the edge of a green protected area, and its pleasant ground have a nice potential to develop there the garden of your dreams ... or those of your children! Worth a visit! Located in the center of the village of Mévergnies, 3 minutes from Brugelette and 10 minutes from Ath, this fully equipped garage is a real opportunity for anyone wishing to engage in a business sale / maintenance / auto repair or other. The various tools and machines (lifts, balancing machine, braking bench, alarm, etc ...) will allow you to provide a complete and quality service while the beautiful showroom and the spacious reception areas will guarantee you a warm welcome for your clientele. An outdoor parking, with a capacity of +/- 120 cars, secured by an automated gate completes this beautiful program. A beautiful farmhouse, modernized optimally while keeping the stamp and the authentic elements of its history. Its occupants will enjoy the light throughout the day and a totally unobstructed view both at the back and at the front. The large reception rooms, the large kitchen and the perfectly oriented terrace will allow you to organize beautiful moments with family or friends. The new insulation of the roof and the external walls as well as the triple glazing are elements that will guarantee a low consumption. TOO LATE ;o) SOLD with the full satisfaction of both parties! This beautiful villa will make the happiness of a family wishing to flourish in a green and calm environment while remaining close to the infrastructures of Waterloo, Braine-l'Alleud and Rhode-St-Genèse. The golf of 7 Fontaines is also a leap of flea. The house offers comfort of an excellent level and quality materials. The maintenance is also irreproachable. ATTENTION, the sale of this property is realized by the purchase of the shares of the company which holds it. No registration fees. Do not hesitate to contact us for any further explanation or visit. Facing the very beautiful facade of the Tour & Taxis site, in the luxurious Up-Site complex, very nice 3 bedroom apartment + 2 terraces in new condition offering comfort, elegance and luxury that once can expect from a recent construction corresponding to energy standards. You can enjoy complimentary access to the spa and the resort's indoor swimming pool, along with a concierge service that will make your life easier and a private screening room. You will also have access to Zen Car. In addition to the apartment, you will have a large cellar in the basement. Parking possible (35.000,-) Last but not least, you do not suffer from building views opposite at the front. In the heart of the charming village of Virginal, this former convent totally refurbished houses this set of two beautiful and spacious apartments, namely a duplex 2 bedrooms + office with terrace and a one bedroom apartment. These will delight you with their charm and the quality of their recent renovation. The superb view of the private park and the surrounding countryside will end up conquering you. This grouped housing, will allow you to take advantage of a raised park of more than 1 hectare, a tennis court, a playground, a collective vegetable garden, etc .. Infrastructure belonging to the condominium generate the revenues needed to cover all expenses! For lovers of serenity and exception! This beautiful villa offers the privileged location of a quiet residential area while being 10 minutes drive from the center of Tournai and all its facilities. The beautifully planted garden and terrace of 20 m² are a real invitation to enjoy sunny days. The seamless maintenance and charm of the interior will convince you. The attic of an area of +/- 35 m² offers an opportunity to increase the living area of this property. An attached garage accessible via the side aisle of the property completes the program. Some works will give this pleasant villa all the modern comfort in terms of energy performance. In Ixelles, between the cemetery and the Ponds, quietly located at a few steps from public transport, hospital, shopping and restaurants, in a very nice, completely renovated Art déco building (lift, heating, facades ...), very sunny apartment + / - 115 m2. Entrance hall, fully equipped kitchen, spacious living room with integrated furniture, 2 rooms, 2 shower rooms, maiden room, cellar, parking space in common parking. TO DISCOVER ! This beautiful stone house, part of a farm dating from the 17th century, has benefited from various renovations and impeccable maintenance. Its pleasant living spaces will surprise you, especially by its veranda offering a bright and warm space in all seasons! The beautiful terrace and the garden, easy to maintain, will be ideal for enjoying sunny days. The location, in the center of the village, makes access very easy, even on foot, to different amenities (schools, shops, ...). A large garage of +/- 50 m² completes this program. The icing on the cake, the roof was totally replaced in 2016 (slates, under roof and insulation of 20 cm). Nestled on the fourth floor of a comfortable building, this large apartment, whose proportions will delight you, offers the significant advantage of being able to change its program from one bedroom to two bedrooms with some changes. On the program: a large living room with parquet floor, a large bedroom and a large kitchen with balcony, a bathroom and a separate toilet, and a welcoming entrance hall with two storage spaces. A cellar completes all this. The elegant avenue in which this apartment is located offers the undeniable advantage of being crossed by a tram line. To see without delay! In the heart of a beautiful park, wonderful apartment of 50,7m² on the first floor of a residence offering services. This apartment offers a large bright living room overlooking a beautiful terrace of 9m² facing East with a view of the park, fully equipped kitchen, a beautiful bedroom, a shower room, possibility to acquire a cellar and parking space. 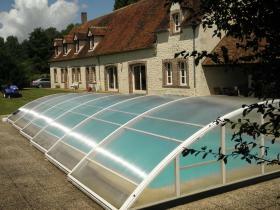 The residence Charles Esther has 35 private luxury apartments in a green and quiet between Nivelles and Charleroi. This project was entirely conceived for the people wishing to benefit from infrastructures at home: swimming pool, restaurant, fitness room, fishing pond, library, hairdresser, trade, launderette and television lounge. In the heart of a beautiful park, wonderful apartment of 49m² on the first floor of a residence offering services. This apartment offers a large bright living room overlooking a beautiful terrace of 8m² facing South with a view of the park, fully equipped kitchen, a beautiful bedroom, a shower room, possibility to acquire a cellar and parking space. The residence Charles Esther has 35 private luxury apartments in a green and quiet between Nivelles and Charleroi. This project was entirely conceived for the people wishing to benefit from infrastructures at home: swimming pool, restaurant, fitness room, fishing pond, library, hairdresser, trade, launderette and television lounge. In the heart of a beautiful park, wonderful apartment of 48,8m² on the ground floor of a residence offering services. This apartment offers a large bright living room overlooking a beautiful terrace of 8m ² facing South with a view of the park, fully equipped kitchen, a beautiful bedroom, a shower room, possibility to acquire a cellar and parking space. The residence Charles Esther has 35 private luxury apartments in a green and quiet between Nivelles and Charleroi. This project was entirely conceived for the people wishing to benefit from infrastructures at home: swimming pool, restaurant, fitness room, fishing pond, library, hairdresser, trade, launderette and television lounge. In the heart of a beautiful park, wonderful apartment of 48,8m² on the first floor of a residence offering services. This apartment offers a large bright living room overlooking a beautiful terrace of 8m² facing South with a view of the park, fully equipped kitchen, a beautiful bedroom, a shower room, possibility to acquire a cellar and parking space. 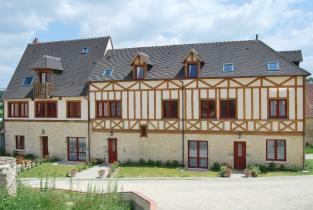 The residence Charles Esther has 35 private luxury apartments in a green and quiet between Nivelles and Charleroi. This project was entirely conceived for the people wishing to benefit from infrastructures at home: swimming pool, restaurant, fitness room, fishing pond, library, hairdresser, trade, launderette and television lounge. At the heart of the Natural Park of the Perche, a domain of 120 ha with a Golf and a Hotel ***, an investment of a hotel apartment with 2 bedrooms each with its own bathroom of +/- 44 m². Acquiring freehold and possibility to negociate leasehold which could guarante you a return on investment in addition to a right of occupancy of 60 nights per year in your property or in property of the same type of your choice. Funding opportunity. By its green nature, the department of Lot is known as the French Tuscany. It is the place to be for all lovers of nature, heritage and gastronomy. Between the vineyards of Cahors lies this oasis of 11 hectares, a unique park with holiday homes, located on a hill with a breathtaking panoramic view. This domain, managed by a Belgian couple, includes the following facilities: a restaurant, a bar, three swimming pools, tennis, volleyball, table tennis, playground, trampoline, bowling, giant chessboard. The cottage "Cigales" of +/- 75m² is suitable for 4 to 5 people. The price of  99,000 to  119,000 (+ 8% notary fees) allows a return on investment of +/- 6%. In the heart of the Perche National Park, a domain of 120 ha with a golf course and a Hotel ***, an investment of a hotel apartment with 2 bedrooms each with its own bathroom of +/- 44 m². Acquiring freehold and leasehold of 11 years, guarantees you a return on investment of +/- 34% in addition to 60 nights per year in your property or in property of the same type of your choice. Funding opportunity. 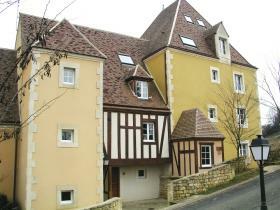 More properties in Bellême on www.BestPartner.be heading "Foreign countries". In the heart of the Perche National Park, a domain of 120 ha with a golf course and a Hotel ***, an investment of a hotel room with a bathroom of +/- 31m ². Acquiring freehold and 11-year lease, guarantees you a return on investment of + / - 34% including 30 nights occupancy per year in your property or a property of the same type of your choice. Funding opportunity. 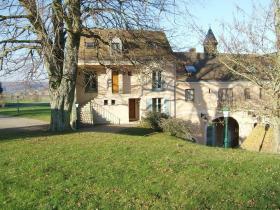 More properties in Bellême on www.BestPartner.be heading "Foreign countries".